Evantechs understands that successful installation of surveillance cameras and security systems requires a balance of sophistication and ease of use. Security camera systems are installed to protect your business or your home from unwanted activity. Today's systems now allow you to receive alerts on your smartphone via email or text when your camera detects activity. Our experienced installers understand you want comprehensive coverage at an affordable price. 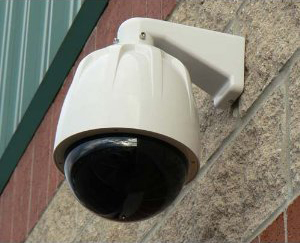 We offer a wide variety of surveillance camera systems designed to fit the needs of the customers. After installation our technicians will take you through the operation of the system to insure you're satisfied with the coverage area and provide the necessary training for you to view, record and maintain your security system. As one of our customers you will also always have the support you need. You can depend on our knowledge and experience in surveillance camera and security system installation and service. Evantechs will make sure you're getting the security system designed to match your business or residential requirements and objectives. We'll meet with you to fully understand your budget, timeline, and expectations. We'll create and prepare surveillance camera and security system estimates for the hardware and services to give you an idea of what to expect for labor and materials well before we begin the installation. Knowing your current environment and where you would like to take your organization is an important step in advancement. At Evantechs, our service is key to achieving success. We meet with you personally to get an understanding of your security system goals and objectives. We then gather all the relevant data as to how your current surveillance cameras and security system is designed and configured. We take this information and perform an analysis and provide you with a guide to achieve your goals and objectives in a cost-effective and timely manner. Planning is key to success and we're here to assist you with the all-important planning stage before we work together on your security system installation.